Home » English posts » How to distinguish natural honey and honey false? How to distinguish natural honey and honey false? Many have been fooled into buying fake honey, in fact we can identify the difference of honey with honey false in several ways. Most of the honey sold in supermarkets has been mixed with sugar and only a small content of natural honey, nearly everyone believes about this. Therefore, the experience and knowledge to distinguish counterfeit honey and pure honey is important that we not be fooled when buying honey. Enter honey in the fridge for a few hours, if the honey hardens when cooled it is not necessarily false, but shows a high water content and are not qualified. Natural honey also sometimes have a water content due to weather conditions and packaging process. If you put the honey in areas with ants, the original Honey often will not eat ants, magic!, But that's reality. If a spoonful of honey dripped into the water and you do not stir the water and look honey dripped earlier, would build up and fall at the bottom of the water. if false Honey, it will be mixed with water depending on the water content therein. Use a pinch of honey by hand, trying to defeat the honey downwards, or a pinch of honey, if it does not break when pulled high , and will only form a smooth groove, when flows down, it is natural honey. if you would like this to be false honey, it will falter because of having a high water content. Normally the original honey has a certificate of authenticity, but this is not the best way to identify the authenticity of the original honey, if you buy honey in supermarkets make sure you choose the honey which has a purity certificate such as Organic, Kosher and so on. Have you ever heard of natural honey can cook an egg? in fact if honey is truly original he was able to cook eggs, this happens because of active enzymes found in fresh, raw honey. Through my knowledge,the most accurate way to determine the original honey or otherwise is by using laboratory tests, natural honey has a specific composition of sugars and glucose and fructose composition between 0:30 to 1:35. Artificial honey does not equal the ratio like this. 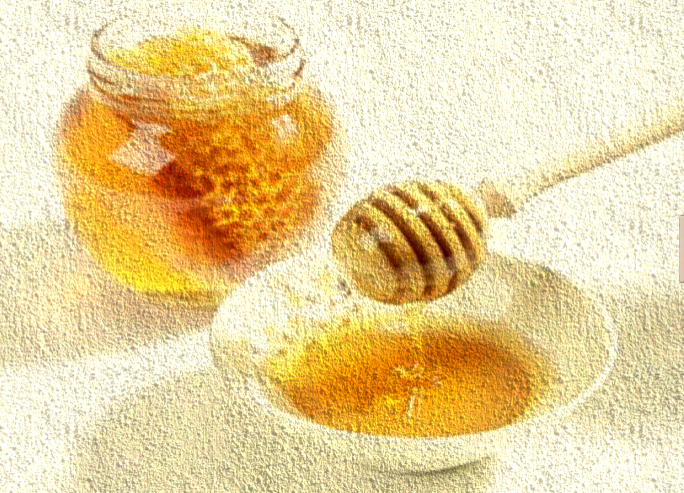 Honey is one of the world's oldest healing, taste is sweet and has a wide range of benefits and usefulness to humans. Dr Susan Percival of the Department of Human Nutrition and Food Sciences University of Florida, United States (US) said that honey has various vitamins and minerals such as acid pontohenic, ribotlorina, niacin, thiamine and B6. Honey is one of the oldest in the world bidder. Although sweet, it contains various nutrients and benefits to humans.